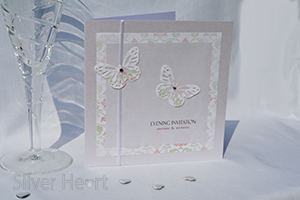 Evening invitations, reception, night event, Silver Heart Weddings, stationery, Huddersfield, West Yorkshire, Yorkshire, order online, gallery, hand made creations, unique designs. It isn't always possible to invite everybody you know and love to watch you seal the knot, therefore it is often the case that some guests are invited just to an evening celebration, and so receive an evening invitation. Identical in format to your day invites. 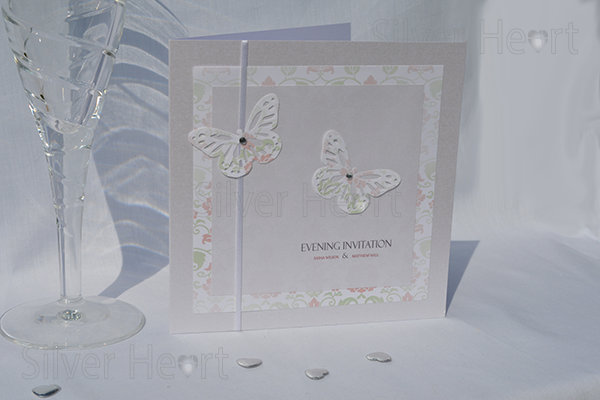 Single fold with matching design details. Flat format with matching design details. 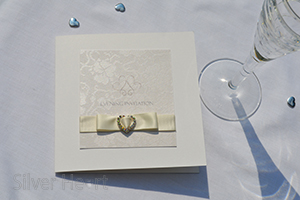 The information contained in your evening invitations informs your guests about the times and entertainment you have planned just on the evening. 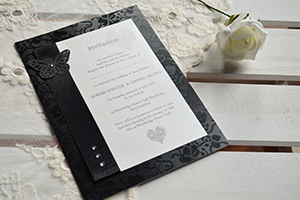 We also do Day Invitations, Save the Date, Evening Invitations, Order of Service/Day, Menus, Place Names, Table Names, Thank You cards and Table Plans.